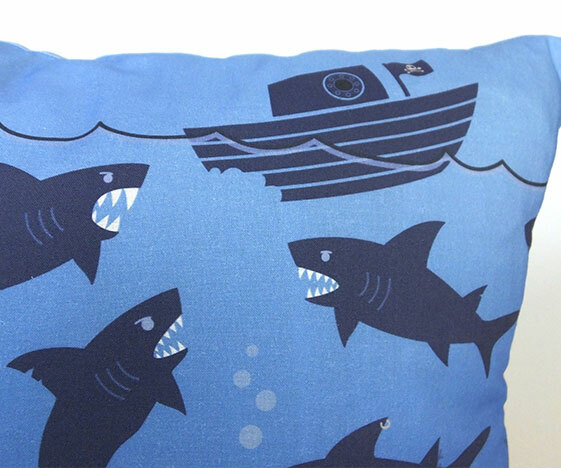 Shark cushion with blue underwater design. 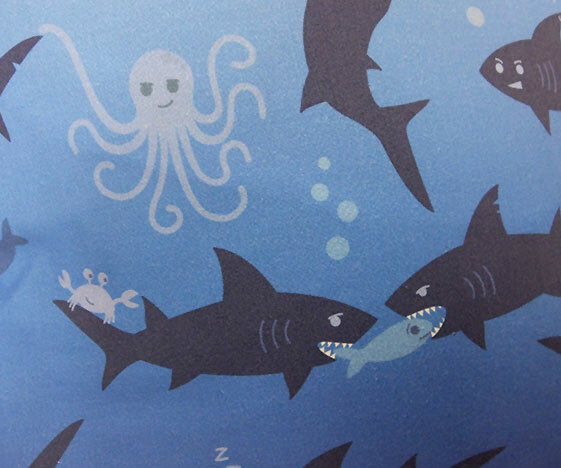 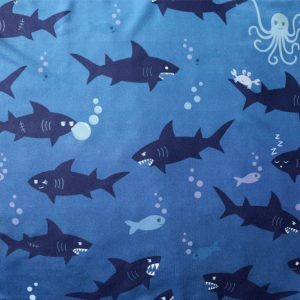 Sharks attacking a boat and getting up to all kinds of mischief, along with an octopus, cute fish and a cheeky crab. 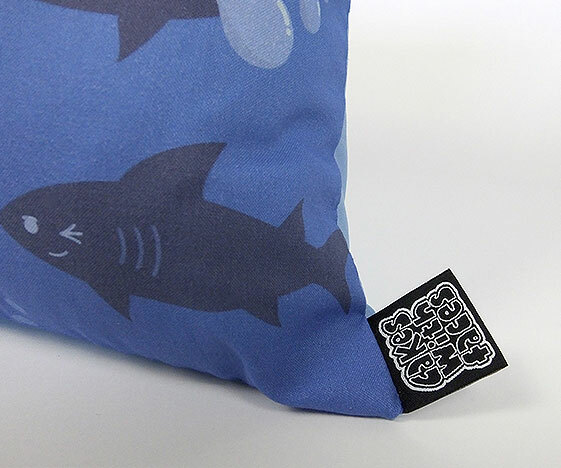 – Lots of fun details to spot in the design. 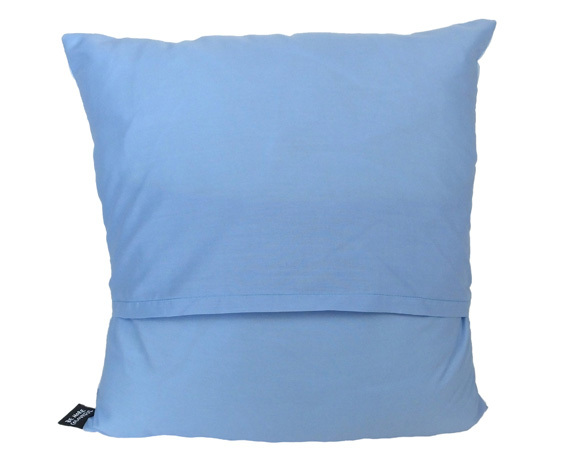 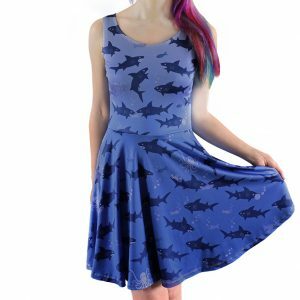 Made of soft cotton/poly-cotton fabric, with a pastel blue back. 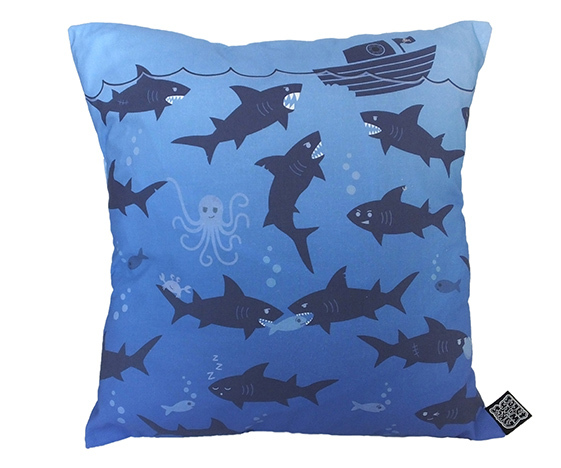 Handmade, unique item – a perfect shark gift or colourful accessory to brighten up your home. 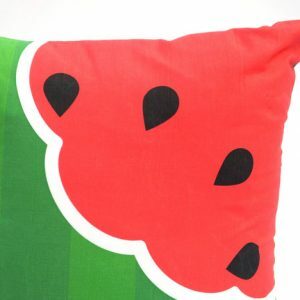 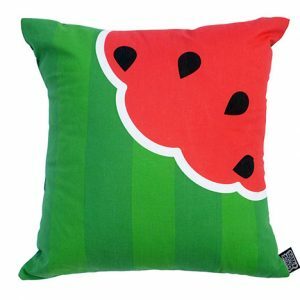 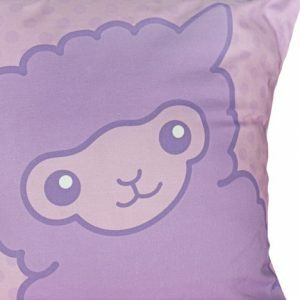 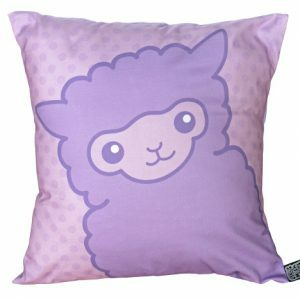 Approx 16″ (40cm) square pillow.